The HUF Hupper 2, a new skate shoe innovation with a reverse-engineered durable anatomy construction. From the ground up, the HUF Hupper 2 sits atop a new vulcanized last featuring a long-lasting Infinity Rubber geometric tread outsole. The higher-profile, refortified 3D Foxing Tape offers enhanced durability, grip and stability. The dual density Perfshock insole technology provides comfort. A Rubber Shield ollie barrier is adhered underneath the ollie area for increased protection. A layered toe cap and randguard wrap, reinforced with double-stitching, offers increased protection in key skate abrasion areas. 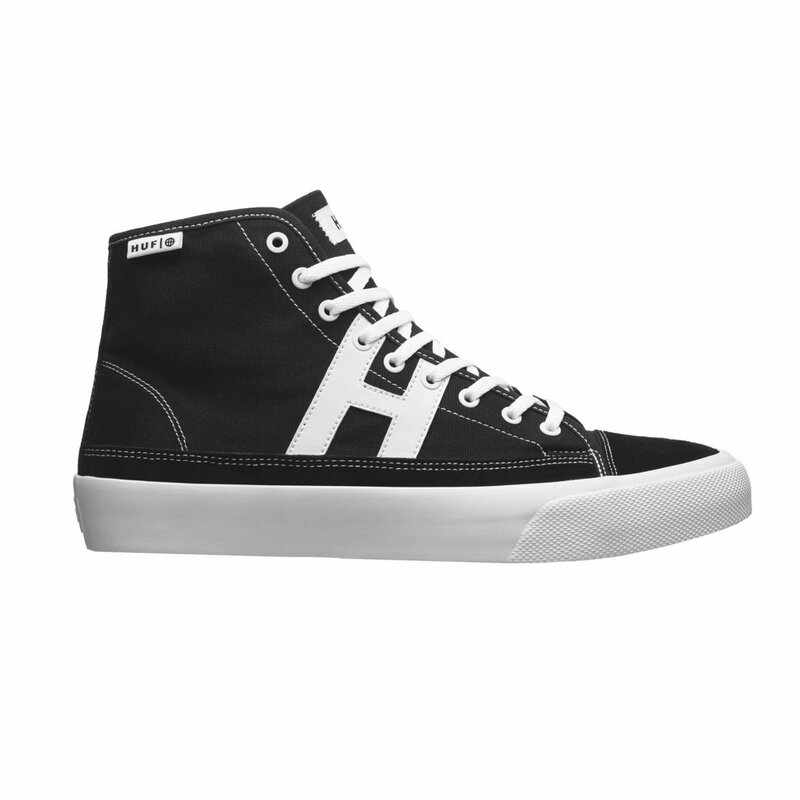 The HUF Hupper 2 is instantly recognizable with its prominent H-branded styling on the side quarters.